After such a cold day on Wednesday it was a relief to wake up yesterday to bright sunshine, a gentle breeze and a real feeling that summer was on its way. At Lower, we took advantage of that with a very relaxed river-side picnic for lunch but it did not detract from their total score by the close of play. 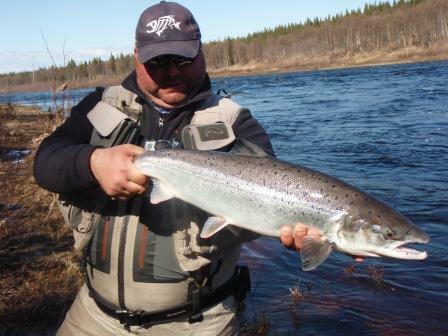 78 fish were put in the book to the 10 rods with Adrian T having his best ever day by landing 11. In a continuation of a theme, we landed some excellent fish and every rod has remarked on their fighting ability and strength. 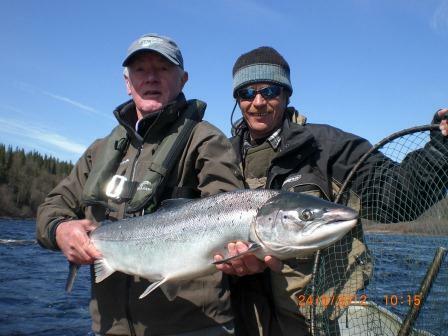 At Kitza, Joan G led the way with 6 from her session on Deluxe which contributed to a score of 33 to the 9 rods. Tom reported that the river continues to drop and access to the pools is getting easier by the minute. There is a sense that there are plenty of fish in the river but the height of the water is making it tricky to get to all of the taking spots and this should improve very quickly. 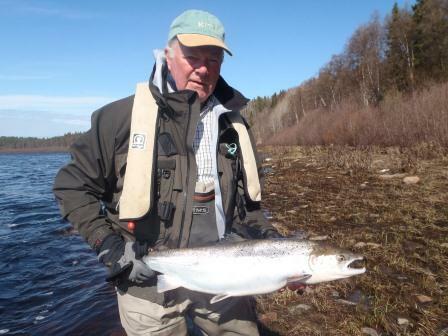 ﻿﻿At Middle Varzuga their week continues to defy any form of expectations. 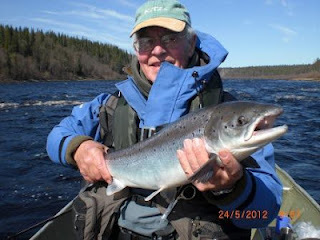 They landed 180 fish to the 12 rods with Keith B landing 21, Peter A 22 and Peter W landing his 100th fish of the week. That fish took him to his own personal milestone of landing 1,000 fish from the river over the years. With the temperatures warming up we are beginning to see lots more wildlife. In total we have seen 32 species of bird including ospreys, capercaillie and heather grouse as well as pine martins and mink. Hugh radioed this morning to say that an otter had been seen outside of camp and that his team had landed several fish before breakfast. With a clear sky and very little wind we are hopeful of another excellent day.